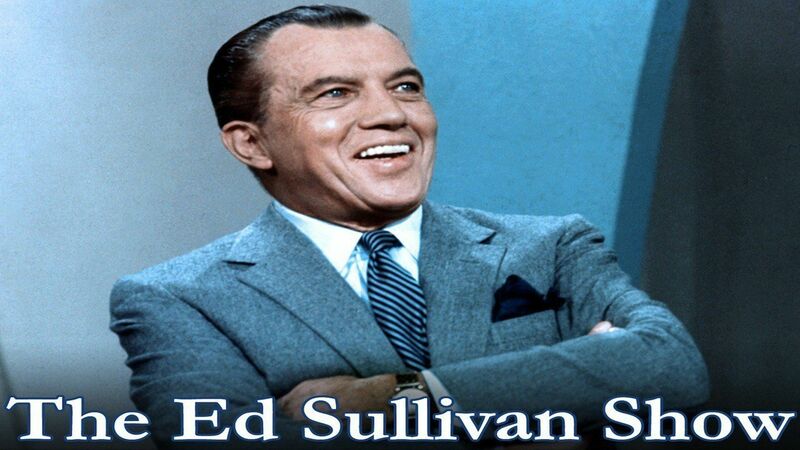 Here's where to watch every episode of The Ed Sullivan Show season 22. Mouseover or tap an episode to see where to stream it. Click or tap the play icon to stream it on the best available service. scheduled: Dionne Warwick; Tiny Tim; Tony Bennett Oct 6, 1968 Scheduled guests: --Dionne Warwick - ""Impossible Dream"" and ""Promises, Promises"" --Tony Bennett (performing with the Woody Herman Orchestra) --Woody Herman and orchestra --Tiny Tim - ""Hello, Hello,"" ""As Time Goes By"" and ""I Gave Her That"" --Flip Wilson --The Kessler Twins (dancing singers) - ""Lili Marlene"" --Goetchie (unicyclist) --The cast of ""You're A Good Man Charlie Brown"" perform two songs from the play - the title song and ""Happiness""
scheduled: Alan King, George Hamilton, Connie Francis, Stiller & Meara Nov 3, 1968 According to a November 1968 New York Times article, this episode was cancelled due to the AFTRA musicians' union strike. (With a re-run aired in its place. )However, a few Beatles websites mention that a clip from the Beatles' movie ""Yellow Submarine"" was shown on this date.The scheduled guests for this week were Connie Francis; Alan King; George Hamilton; Stiller & Meara; Peter Gennaro and The Antonettes (a teeterboard act). 5th Dimension / Harold Prince tribute / Herschel Bernardi Feb 23, 1969 Tribute to Harold Prince (theatrical director and producer) Songs from his productions:--Harry Goz sings ""Sunrise Sunset"" (from ""Fiddler on the Roof"") --Anita Gillette, Martin Ross and the ""Cabaret"" Broadway cast - ""Wilkommen"" --Herschel Bernardi - sings ""Life Is"" and performs the ""Mime Dance"" (with the ""Zorba"" cast) Other guests: --Dickie Henderson (comedian)--Audience Bow: US Air Force Col. Joe M. Jackson --Michele Lee - sings ""Steady Steady""--Audience bows: Buddy Rogers & Bob Thomas --Glenn Yarbrough - ""When the Honey Wind Blows"" & ""Baby, the Rain Must Fall"" --Myron Cohen (comedian) --The Fifth Dimension - medley: ""What the World Needs Now"" & ""All You Need Is Love"" --The Fifth Dimension - ""California Soul""
Fifth Dimension / Liza Minnelli / George Carlin May 18, 1969 Guests: --Fifth Dimension - ""Up Up & Away,"" ""Working on a Groovy Thing"" and ""Aquarius""/""Let the Sun Shine In"" --Liza Minnelli - ""You Made Me So Very Happy,"" ""Didn't We?"" (and possibly ""MacArthur Park"") --George Carlin (comedian) - ""The Big 3 News"" sketch with Carlin as a news reporter, commercial announcer and ""Al Sleet"" (the Hippy Dippy Weatherman) --Audience bow: Jacqueline Susann --Joan Rivers --Bill Dana (comedian, as Jose Jimenez) - Ed appears in act, asking Bill questions. --The U. S. Military Academy Glee Club --Vino Venito (sword balancer from ""Circus, Circus"" in Las Vegas) - balances candelabra. The Everly Brothers / Phil Crosby / Marilyn Maye Jun 15, 1969 Guests: --The Everly Brothers - ""Walk Right Back"" & "" Bye Bye Love"" (and possibly ""Bowling Green"" & ""Wake Up Little Susie"") --Phil Crosby (singer) - ""Let There Be Love"" --Marilyn Maye (singer) - ""Misty"" Other guests (scheduled to appear):--Rodney Dangerfield --Stiller & Meara (comedy team) --Peter Gennaro (dancer) - ""Don't Rain on My Parade"" --The Inner Dialogue - ""The Touch"" & ""I Go to Life""